Generally, you will come across two different types of microphones: condenser and dynamic. 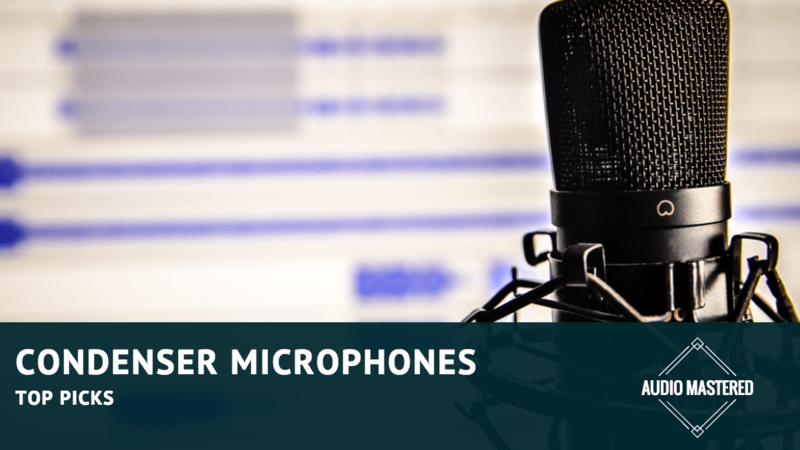 Condenser microphones are the most common types of microphones you’ll find in studios due to their warmth and high fidelity. They generally have a greater sensitivity and typically have a louder output. As a result of the higher sensitivity, the transient and frequency response is much greater. Additionally, the low mass diaphragm of a condenser mic can follow the sound waves more accurately than that of a dynamic microphone, resulting in superior sound quality. If you’re looking for a great mic, we’ve provided you with a few options so you can find the best condenser mic under $200. Nowadays, there are many cheap condenser mics available. It’s our opinion that spending a little more money on a condenser mic will make a huge difference in recording quality. Mics in the sub $100 category generally are noisy and offer much lower sound quality than a top-of-the-line microphone. 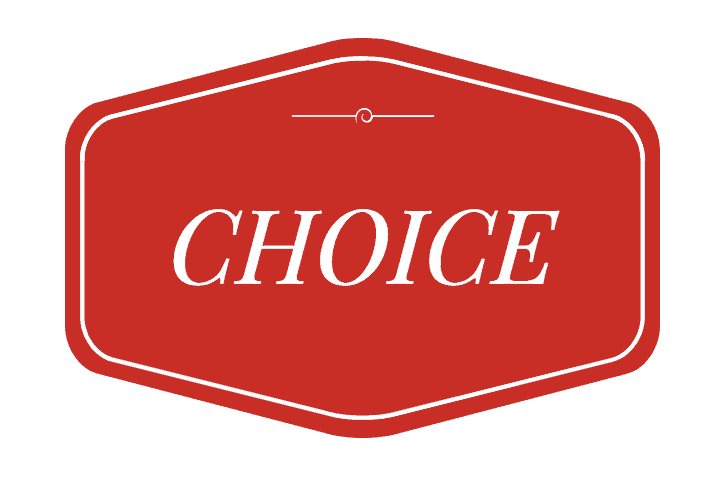 Below, we strive to find a balance of quality by suggesting a few picks for microphones in the mid to lower price range. Let's get started! Condenser microphones require external power for their internal electronics. A condenser mic will either be powered by a USB (from your tablet or computer) or through what is known as P48 phantom power. P48 phantom power is typically provided through your audio interface or mixing desk. You can alway buy an external 48V power supply if needed. If you plan on recording with tablet or laptop, you’ll need to pick up one of these external power supplies to give your mic enough juice to record at a high quality. Typically, a condenser microphone can be classified as a large diaphragm microphone (LDM) or a small diaphragm microphone (SDM). LDM are generally the choice for studio vocals as they tend to warm up whatever is being recorded and capture more detail. Make sure you invest in a pop screen when using a LDM for vocals as they are very sensitive to transients. SDMs are generally used for a solid, wide frequency response as they have a solid transient response. A great use case for SDMs is for recording strings or other concert type recording. Typically, for high sound level pressures such as drum kits or guitar amplifiers, an SDM should be used to withstand the high sound volumes. Manufacturers will specify the microphone polar patterns – a two-dimensional representation of microphones sensitivity to sound arriving from different directions. The majority of microphones use omnidirectional, cardioid, or figure-8 polar patterns. Many microphones have a single fixed pattern, while others have different patterns that can be selected by the user. A common pattern you’ll find in many microphones is the cardioid pattern (see below).Knowledge of this pattern will give you an idea which mic to buy for which purpose. A Cardioid pattern captures everything in the front of the mic and rejects background noise. A cardioid pattern is ideal for capturing vocals and single instruments, while omnidirectional and figure-8 patterns will be useful for multiple instruments. Keep in mind that unintentional background noise can be audible with omnidirectional and figure-8 patterns so pay attention to your mic placements. For those who need a bit more on polar patterns I've supplied a video below. The AT2035 has the largest diameter of the entire AT line yet has one of the more reasonable price points. We’ve chosen the AT2035 because when comparing to the AT4047, which costs nearly four times as much, we were hard-pressed to notice a significant difference. The AT2035 has a nice balanced sound with a smooth response. If you are looking for a mic for home studio recording, the AT2035 has an excellent sound for a serious bargain. Bottom Line: If you aren't concerned with on-mic controls, USB, or realtime monitoring, then this is a good bargain. 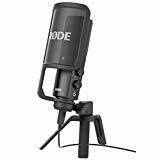 The Rode NT-USB has always been known as a quality USB microphone for home studio use. The 3.5 mm jack allows you to monitor the microphone input in real time while the direct mix control will allow you to control the mix between the mic input and source output. A great overall competitor for the Blue Yeti. Bottom Line: This mic comes with a ton of great features. 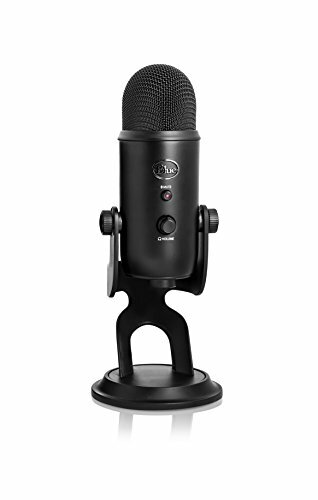 However, the cost is higher than the Blue Yeti without adding many additional features. 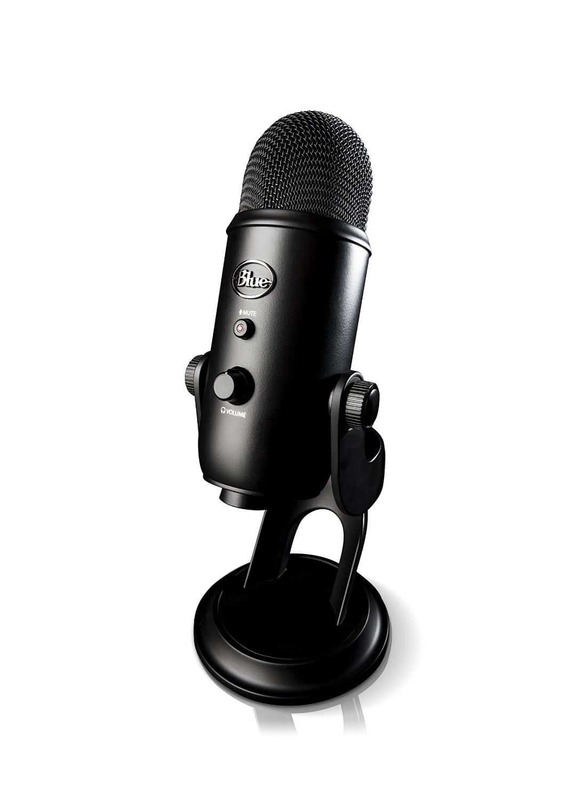 The Blue Yeti has become one of the most popular do-it-all condenser mics. If you are looking for a hassle-free option that gives you studio quality recording then the Blue Yeti is your perfect microphone. You can easily control the headphone volume, pattern selection, instant mute and microphone gain on the microphone. If you are looking for a cheaper option, I've compared the Blue Yeti to the Blue Snowball iCE here. If you want something in between the iCE and the Yeti, you can check out the original Snowball. 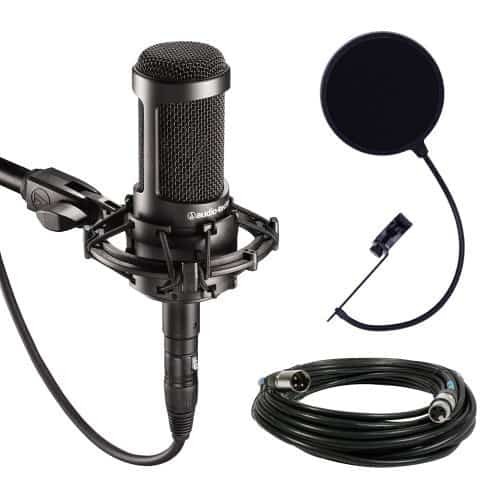 You will get everything you need with this mic for a serious bargain. It even comes with multiple polar patterns for different recording situations. Highly recommended. Make sure you pick the right mic stand and shock mount if you do decide to go with the Yeti. 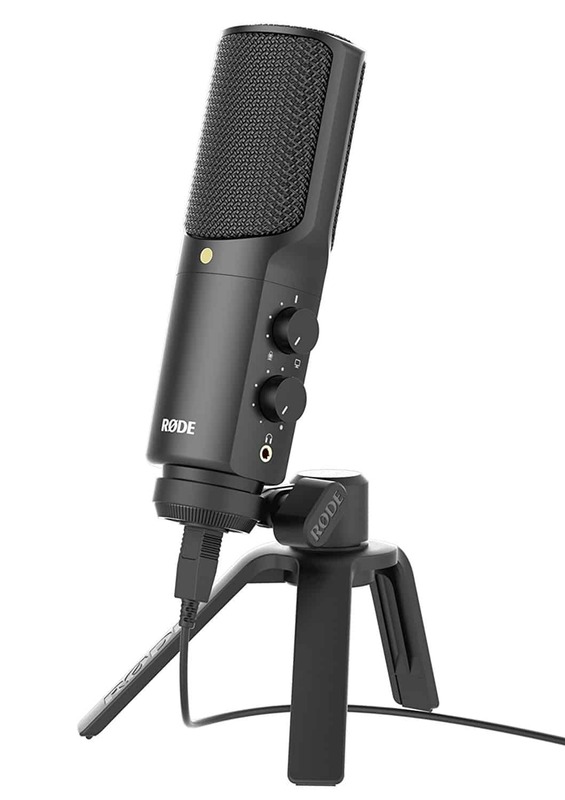 Bottom Line: One of the best mic in this price point. It even beats many mics twice the price. A highly recommended option.